Home to the longest river in France, the Loire Valley is also an important wine region that rose to fame during the Renaissance. 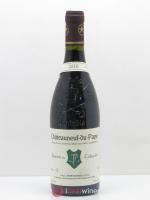 Fashionable amongst royals, it became the principal supplier of wine to Paris during this period. It is a region that boasts around 200,000 hectares of vines that run the length of the river. As you might imagine in such a big region, many different wine styles are produced: dry, semi dry and sweet whites as well as light and full reds can all be found, not to mention Rosés and Crémants. In addition to the many local grape varieties planted here (Chenin blanc, Tressalier, St-Pierre-Doré, Grolleau, Pineau d'Aunis, Sauvignon blanc) you can also find Gamay, Pinot Noir, Chardonnay, Cabernet-Sauvignon and Cabernet-Franc grapes. Vinification here follows the ‘classic’ method that we see in Bordeaux (with the exception of some sparkling wines). Pays Nantais, Anjou-Saumur, Touraine and Loire-Centre are the four appellations that constitute this region. Thanks to a favourable geographical location between the Massif- Armoricain, the Massif Vendén, Poitou and the Paris Basin, this area has diverse terroirs and produces wines of many different styles that, when from a good vintage, have exceptional ageing potential. This is an area that benefits from a good climate: winters are not too harsh, summers are fairly warm and autumns are mild (which encourages noble rot). Anjou-Saumur produces a lot of red wine from Cabernet-Franc. Stylistically the reds from Saumur are rather fresh and fruity while from Anjou they are more fleshy and tannic. White wines here are principally made from Chenin, Sauvignon and Chardonnay and are light, fruity and easy drinking. The Pays Nantais, on the other hand, produces mostly Muscadet and White Gamay from vines that were planted in 1740. Wines here are fresh and lively with light, fruity aromas. Touraine is home to the old Roman city of city Tours. However, Tours is not the only ancient relic left in these parts: many of the vines that surround the city date back to Roman times. Wines from Touraine have been popular amongst some of the greatest writers and poets such as Rabelais and Balzac. This wine region benefits from a consistent and mild climate with both the summers and the winters escaping extreme temperatures. This micro-climate allows for the production of excellent wines and is particularly suited to sweet wines. 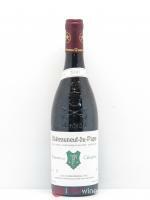 Very aromatic, red wines from Touraine are generally fruit forward while the whites are characterised by their freshness. The best reds in this area come from the Chinon and Bourgueil appellations which are situated on either banks of the river. They are mainly made out of Cabernet-Franc. Other red wines from this area, such as Touraine, are made from Gamay and Cabernet-Sauvignon. Sweet white wines are produced in Vouvray and Montlouis. They boast excellent aromatic depth and are made from Chenin or Pineau-Blanc. This area also produces dry whites under the Touraine appellation and sparkling whites in Vouvray. The vineyards in this widespread area are situated on chalky hills. In Sancerre, vines grow on sunny slopes at 200 metres altitude. The climate is continental, with short but hot summers and long, cold winters. Spring frosts are always a concern in Pouilly. Wines produced here are generally Sauvignon-Blancs or Pinot Noirs. Fruity and herbaceous, these wines are elegant and refined. Loire-Centre is made up of five main appellations: Menetou-Salon, Pouilly-Fumé, Quincy, Reuilly and Sancerre.